Queen's Model Parliament (QMP) is one of the University's most anticipated and prestigious annual conferences. 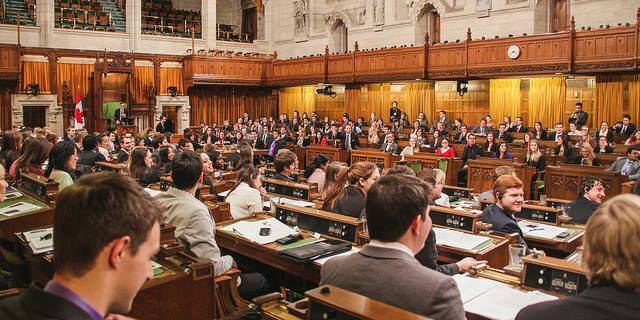 Our mission is to promote youth engagement and understanding of the Canadian legislative process. Each year, over three-hundred Queen's students representing a wide range of academic disciplines are granted the most incredible opportunity -- a chance to apply the knowledge they have gained in the classroom in the heart of our country's capital. Your gift to QMP ensures that the cost of attending this event does not prohibit student participation. Thank you for your support of QMP!